Ah leftovers! They are almost as good as having a freezer full of pizza buns. Leftovers can make packing lunches quick and easy. 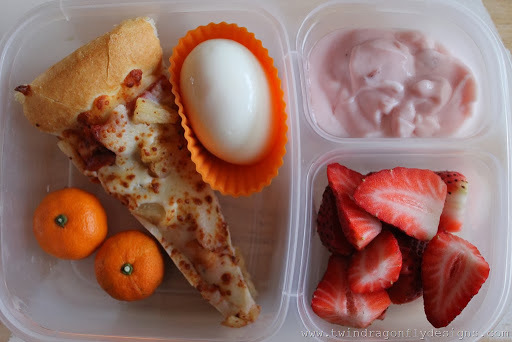 Today we have: leftover ham and pineapple pizza, cutie oranges, hard boiled egg, yogurt and strawberries. Simple right?! 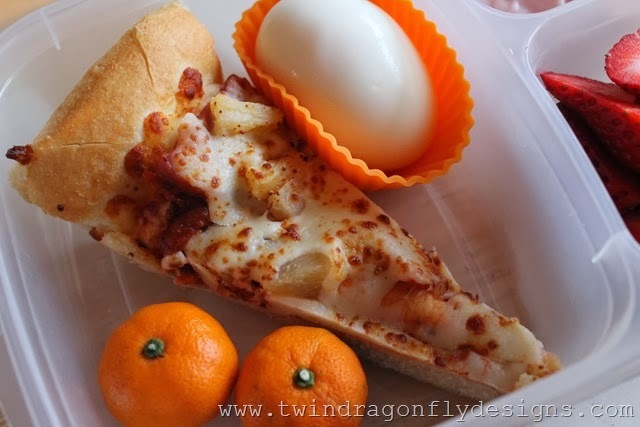 Do you have a favorite leftover for lunches?